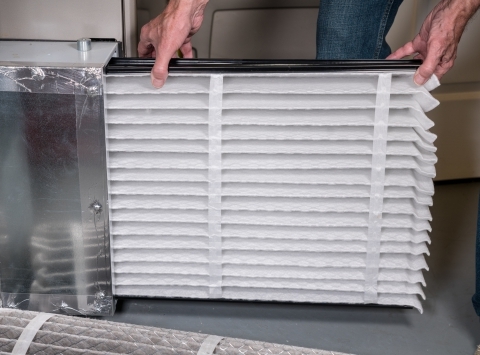 HVAC companies are always talking about how important it is to change your furnace filter every three month or so, but they never say anything about what type of filter you should be using. When you stop by your local hardware store for new filters, you’ll find various options, each with their own list of benefits and specific features — but which one is best for your home? Here is a brief breakdown of the different types of furnace filters and some tips on how to purchase a type that fits your and your home’s needs. MERV Rating: Rates filters from 1 to 11, the higher number being the better quality filter, which blocks the greatest number of particles. MPR Rating: This system uses numbers up to 1250, the higher number offering the most quality. Allergies: If anyone in your household has allergies, it’s probably a good idea to spend a little more on the filter in order to block more allergens, including dust, pollen, bacteria, mold, and smoke. Cost: Generally, the more money you spend on a filter, the better quality they are. 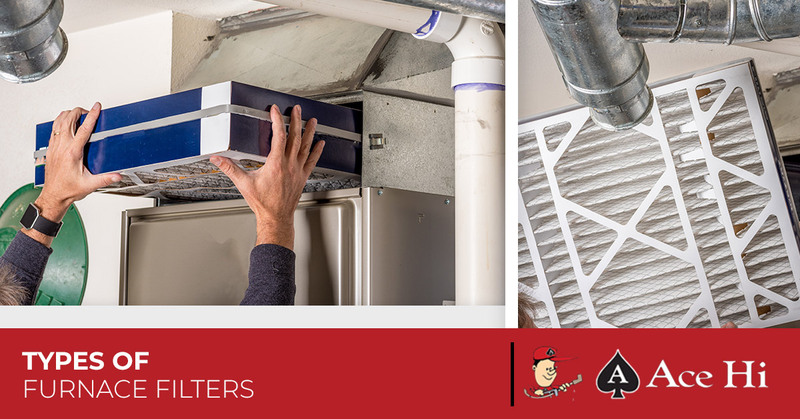 When to Change Them: Depending on your allergies, whether you have pets or not, your location, and how often the furnace is in use, the filter should be changed at least every other month. These are the least expensive (a pack of 12 is typically around $20) but don’t offer much of anything else in terms of removing dust and pollen from the air. They will keep dust out of the furnace itself, helping to prevent a build-up of dust that can eventually cause it to stop working. But if you’re looking for a filter to keep your air quality clean, you might want to look at more efficient filters. These are more expensive ($50-$200), but they are meant to be washed instead of replaced, making the long-term cost easier to handle. Electrostatic filters work by generating a positive charge, which attracts dust and other particles to the filter. This type of filter doesn’t have a MERV rating, so you will need to look to the manufacturer to find information on the filter’s performance. Use a hose to clean the filter and allow it to dry before putting it back in the furnace. Pleated filters are better for airflow, but are still good at blocking out particles. These can cost between $5 and $20 per filter, but have a MERV rating of between 7 and 9. If you’re worried about allergies, this is a good option. If you have pets, this type may be a good option as the activated carbon is better at filtering out smells, including foods and smoke. These are slightly more expensive than pleated allergy filters, but you can look for a higher MERV rating to make up for the cost. High Efficiency Particulate Air, these filters are the best at removing small particles, but the downside is that they can restrict the airflow of your ventilation system. These are often used in hospitals and commercial buildings, but you can find pleated allergy filters that are HEPA rated. These will be more suitable for residential spaces. If you have any concerns about your furnace or heating system, give the team at Ace Hi Plumbing, Heating & Air a call. We provide furnace repair, maintenance, and installation to all of Northern Colorado, including Fort Collins, Loveland, and Estes Park.